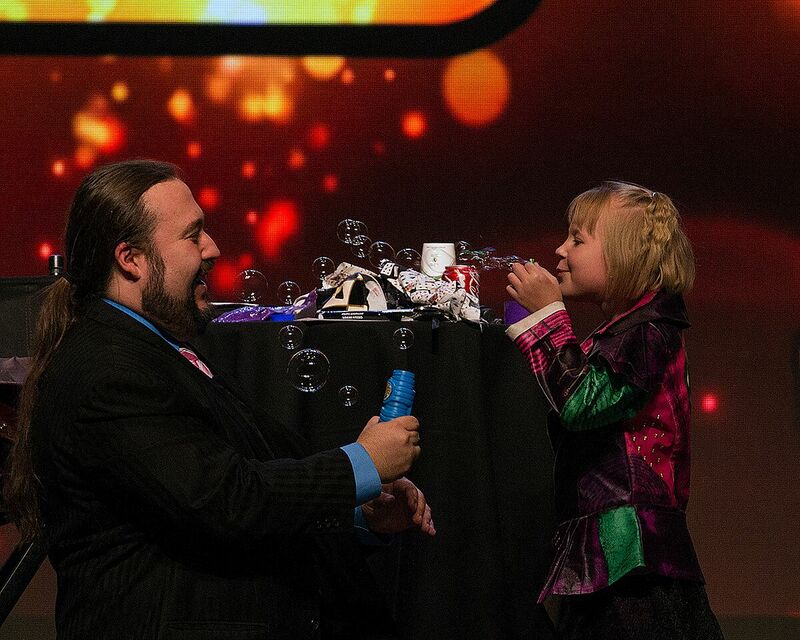 Sometimes as a magical entertainer you are blessed with beautiful moments of real magic on stage because of amazing audience members and their adorable children. There is no better way to describe the goal of my profession than this image. 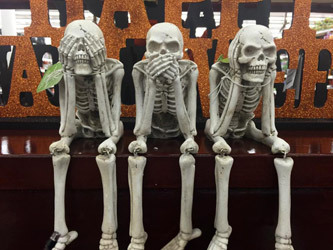 What are you doing for Halloween? I will be performing in the jewel box CLOSE-UP GALLERY in Hollywood at The Magic Castle from October 24th – 31st as the Early-Early Performer. The 8 day week will fill up fast, so get your reservations in now. I’ll be presenting 32 performances over the 8 days. So start your evening off right with some fun spooky magic. I’m on from 5pm – 7pm. This also means that I am available in the evenings in Southern California for your Halloween parties and midnight Séances. 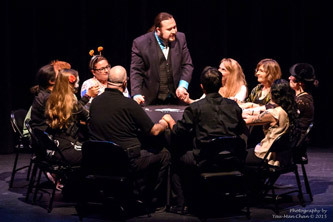 I have been an expert on the history of Séance for History Chanel and A&E and last year was the medium for the 89th Official annual Houdini Séance held in a beautiful Vaudeville theater in San Fransisco. Let me know if you would like to add me to your Halloween or Holiday Line up. 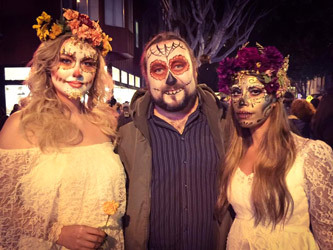 The theme of Halloween week at The Magic Castle this year is Dia de los Muertos-the Day of the Dead! (Celebrated on November 1 & 2, but who’s counting). Did you Know Halloween may be more Irish than American in origin and trick or treating has only been going on in the US since after WWII? 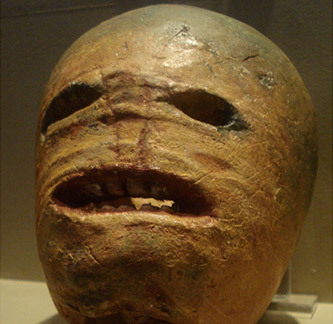 Enjoy your traditional turnip or Potato Jack o’ Lantern. 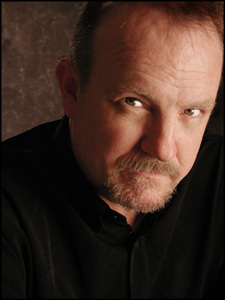 Actor Jim Beaver who plays Bobby Singer in Supernatural and Whitney Ellsworth in Deadwood helps mentalist Paul Draper on stage at Salt Lake Comic in the 5,000 seat Grand Ballroom. 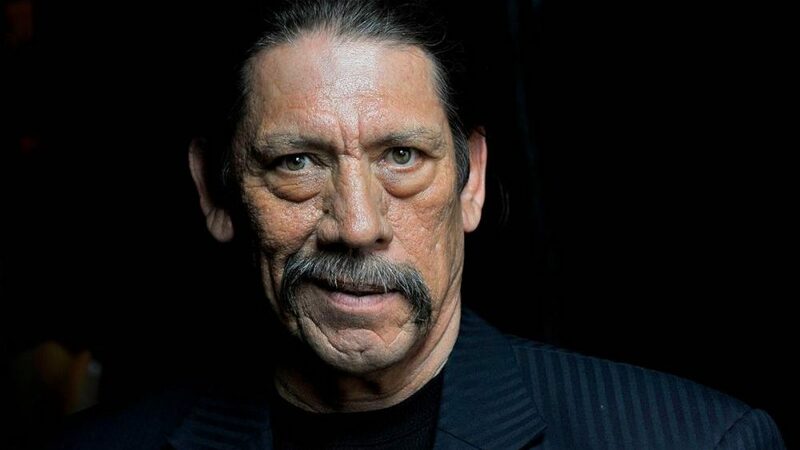 Paul Draper interviews Danny Trejo at Salt Lake Comic Con. We talk about Trejo Taco’s, Machete, Jessica Alba, Dusk Until Dawn, and Storks.